I apologise for the lack of posts recently - cream tea activity has slowed due to the demands of a hectic festive period. I have been meaning to update you about a delightful experience of the cream tea variety we had last month. Mr CTC and I took a well-earned break in the beautiful Kielder Water and Forest Park in November. It was cold, windy and wet, but we enjoyed long dog walks and wildlife spotting. Of course, our favourite type of dog walk is one that ends at a teashop and a slap up cream tea. And we found the perfect place for it, just near our little rented cottage, in the village of Bellingham. 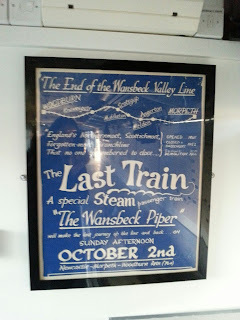 As some of my more faithful readers may know, my husband (Mr CTC) has a bit of a 'thing' about trains and railways. He loves the Mallard, and we visited York last year to see the Great Gathering of Britain's greatest steam engines, followed by a cream tea at the Earl Grey Tearooms, naturally. 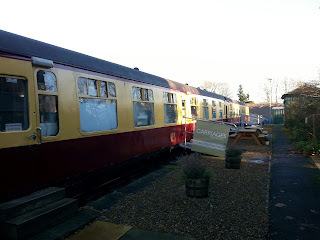 So, when we discovered that Bellingham is home to a tearoom *inside* a couple of old 1950's train carriages, we made a beeline for it immediately. Carriages did not disappoint. We climbed aboard the stationary carriage and were greeted by the smell of hot toasted sandwiches and sweet cakes. The windows were steamed up, creating a cosy haven safe from the bitter cold and rain outside. 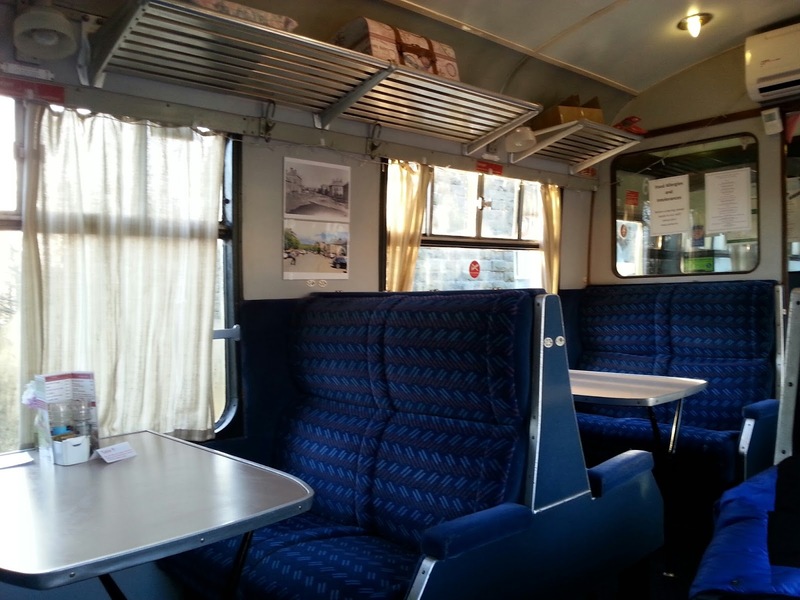 We took a seat at a table, sinking into the blue hatched banquette railway seats. 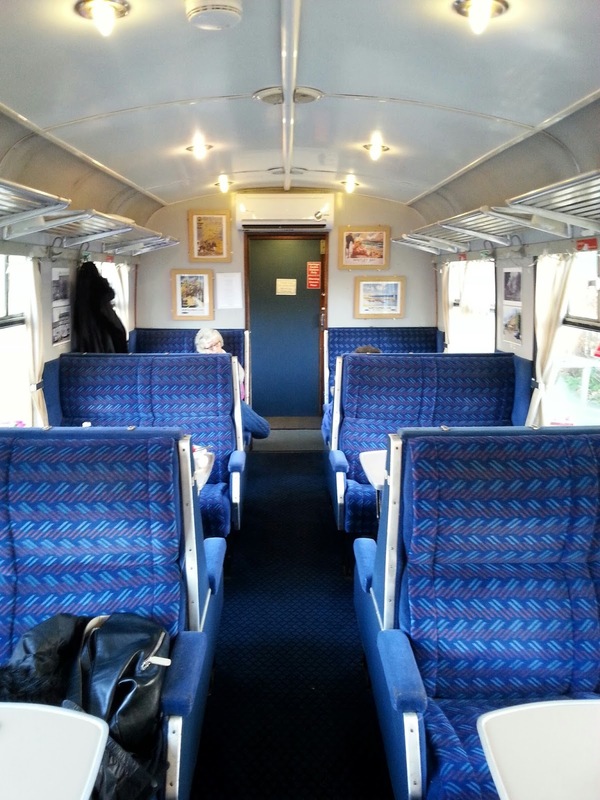 I felt like a child looking forward to an exciting train journey. The cream tea was very nice. The scone was homemade, large and fruited - how I like it - but was cold. The jam was provided in a small bowl, not potted, which is always a bonus. Unfortunately, the cream was whipped not clotted, but I suppose, occasionally it makes a pleasant change. Maybe I was just in a good mood! It was also very good value for money, with cream tea for two coming to only £7.90. 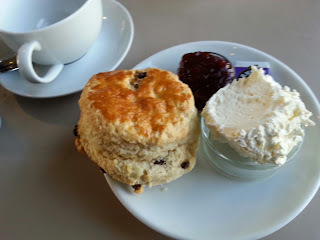 The minor cream and scone shortcomings were more than made up for by the wonderful, cosy atmosphere and the feeling of being transported back in time. Little games such as Happy Families or Connect Four were provided on the tables, adding to the nostalgic feel and the childlike wonder of the place. 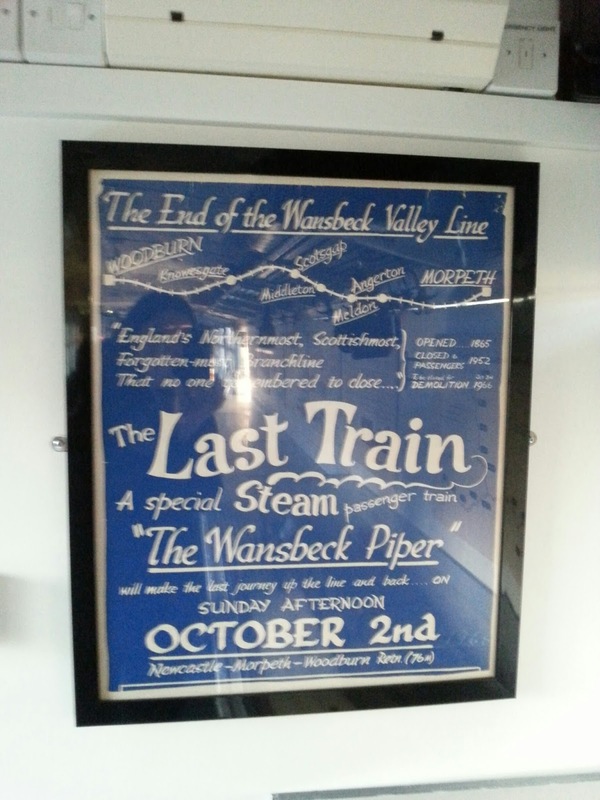 My husband loved the exhibit in the carriage next to the tearoom of a model railway layout and old railway paraphernalia. It was the perfect tearoom for the two of us. We will take a direct line there next time!